Way back on the 23rd of February in 1980 the College of Magic first opened its doors to young people wanting to learn how to entertain their friends and families. The ethos, curriculum and methodology, driven by the diverse nurturing team of College of Magic Staff, form a unique haven for aspirant entertainers and big dreamers where life-skills and performance arts enrich the lives of young Capetonians from all communities. Having originated in Southfield, then moved to Wynberg, the College of Magic arrived at its present home in 1992. 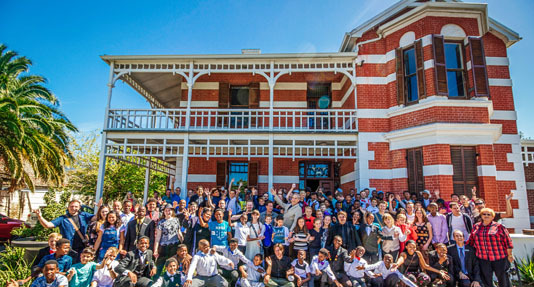 The Magical Arts Centre, a wonderful renovated Victorian house in Claremont, Cape Town, was officially opened in 1995 by the Ministry of Arts, Culture, Science and Technology. The College of Magic – with the help of the community – has restored the building and continues to develop its facilities for its unique teaching and training needs.